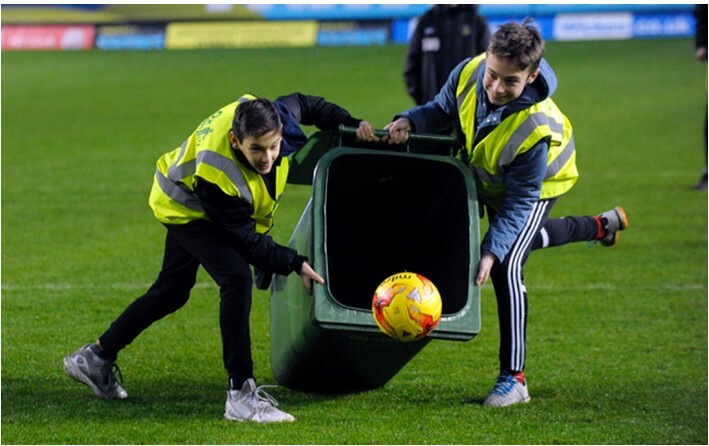 We aim to establish and maintain litter-free environments in Oxford’s schools – and to raise awareness of the benefits of a litter-free environment to encourage pupils not to drop litter in or out of school. There are photographs of some of their efforts in the photo gallery. As part of this initiative, nearly all LEA Primary and Secondary Schools – 36 – are signed up to undertaking anti littering activities through the School year including cleaning up within and outside school grounds and curricular work with a litter awareness and responsibility theme. 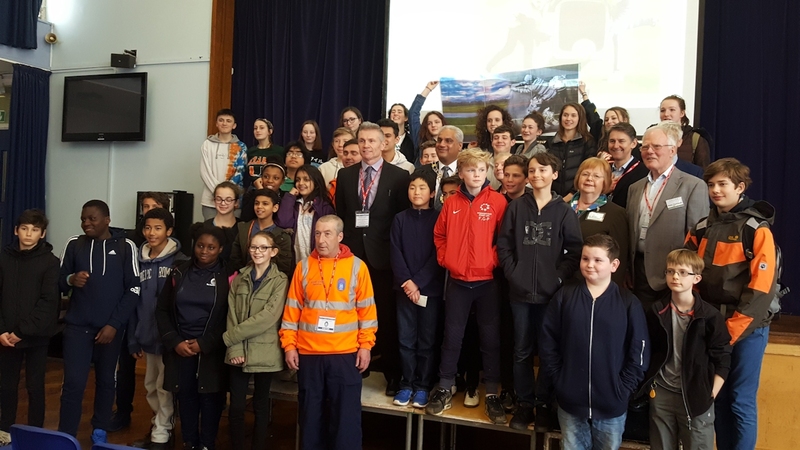 Spring Clean 2017 was launched with the enthusiastic support of Cherwell School. In December 2016 students took part in an early event at Oxford United’s Kassam Stadium, and a week before the Spring Clean weekend the school hosted the official launch. Binning it! 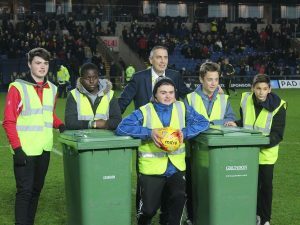 Cherwell School students at the Kassam Stadium. 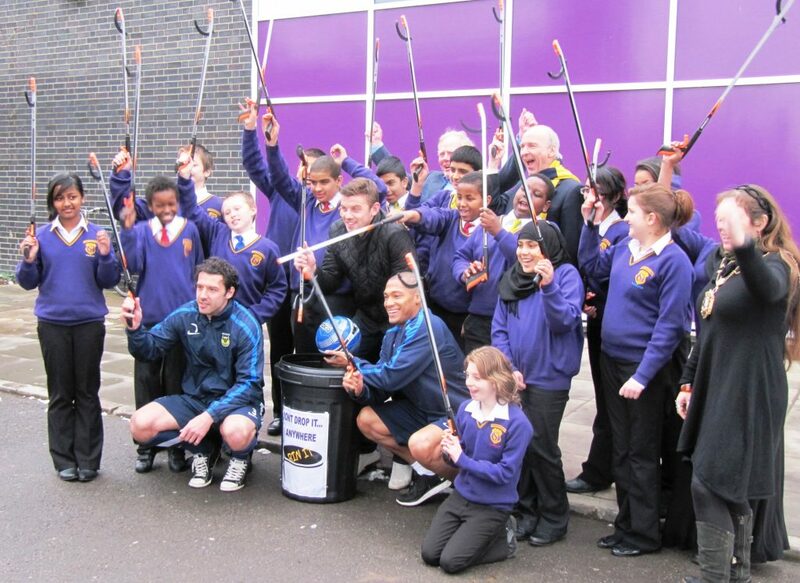 In 2016 OxClean persuaded the Council to install mesh netting backing the fencing in Windale Alley, by Windale Primary School in Blackbird Leys, to prevent litter working its way into the school car park. This is working well. Throughout the year we keep in contact with Oxford’s 31 primary and 5 secondary schools to remind them of the Spring Clean. We ask them to use the Friday to focus on litter, with litter picking, and/or in class for assemblies or discussions about what is being done and should be done in and out of school and in the wider world. We visit the 5 secondary schools twice a year and award a graded certificate. Over the ten years that we have been presenting the Anti-Litter Campaign for Oxford Schools Shield, we have awarded the shield three times to Cheney School. Right from the start their standards have been high. It is one of Oxford’s largest schools, c1500 pupils, on a very small campus with a huge variety of well used litter bins. Even ten years ago Cheney were talking about sustainability and recycling, turning off computers, and they have maintained this momentum. OxClean would like to visit the primary schools, but needs volunteers for this. Please contact us if you can help. OxClean also has support from many of Oxford’s private schools, including Headington, Oxford High School, Wychwood School and St. Clare’s.